What most of us want in a summer vacation is a wonderful destination paired and a cheap flight to get us there. Toward that end, I’ve examined ticket prices to cities and regions in the U.S. and around the world, and here are some of the very best deals. Not all of these vacation destinations will be bargains for every departure city, but most are good values from many areas. An easy way to find deals from your town is to use the FareCompare search tool that pinpoints deals by month or season. It’s how I found these sample roundtrip fares, all good for travel in June; all were valid as of late last week but airlines can change prices without notice. 1. Boston: The gateway to New England is a perennial deal thanks to lots of low-cost airline competition (it’s a focus city for JetBlue). 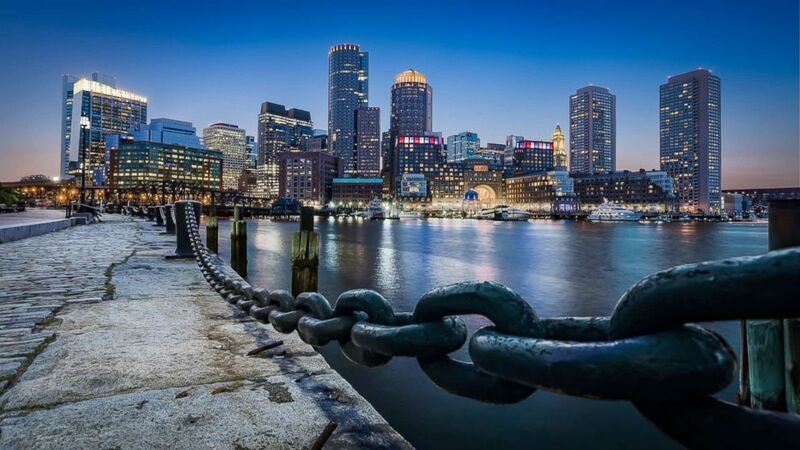 Sample June fare: Dallas – Boston, $166. 2. Denver: The four-season getaway thanks go beautiful year-round vistas and excellent skiing; the fact that discount carrier Frontier calls Denver home doesn’t hurt, either. Sample June fare: Houston – Denver, $115. 3. Florida: We are seeing deals all over but especially for travel to Tampa, Ft. Lauderdale, Miami and that place Disney World calls home. Sample June fare: New York – Orlando, $101. 4. Seattle: Wonderful scenery, excellent coffee and this city has been coming down in price for a few years now. Sample June fare: Los Angeles – Seattle, $123. 5. Amsterdam: Another gateway city, this time to Europe. We don’t see deals from every U.S. city but when we do, they are true bargains. Sample June fare: New York – Amsterdam, $300. 6. Dublin: The Emerald Isle had been Europe’s cheap spot for years but it would be worth a visit no matter how much it cost. Sample June fare: Seattle – Dublin, $577. An aerial view of O’Connell Bridge in Dublin City is captured in this undated stock photo. 7. Hong Kong: Take in the view from The Peak and don’t miss the Temple Street Night Market; don’t worry about shopping, prices have been dropping to the Asia hotspot. Sample June fare: San Francisco – Seattle, $519. An aerial view of central Hong Kong is captured in this undated photo. 8. London: In the past couple of years, prices to London have come way down but who knows how long this will last? Go. Sample June fare: Boston – London, $340. 9. Paris: The Louvre, the Eiffel Tower, the Champs-Élysées. At these prices, what are you waiting for? Sample June fare: Newark – Paris, $380. A view of La Defense business district in Paris is captured in this undated stock photo. Inconvenience saves money: Many of the flights shown above are nonstop; of the connecting flights, a very few have long layovers that will not work for everyone. Finally, most of these flights are for weekday travel. Bottom line: Flexibility can really pay off, but only you can say how flexible you can be this summer. Flying outside peak season saves, too: Many of these June flights are for the first half of the month, before the more expensive peak season fares kick in around June 23 or so (it can vary by a day or so, depending where you live). Another cheaper time to fly is toward the end of August for domestic flights, and after the first week in September for international travel. April 3, 2019 Comments Off on Stephanie Gilmore Is the World’s Greatest Surfer. Pay Her Accordingly.